To make a gadget work, it’s always best to read the instructions first. But what if instructions aren’t included, or if they are mercurial, changing every day to account for the environment? 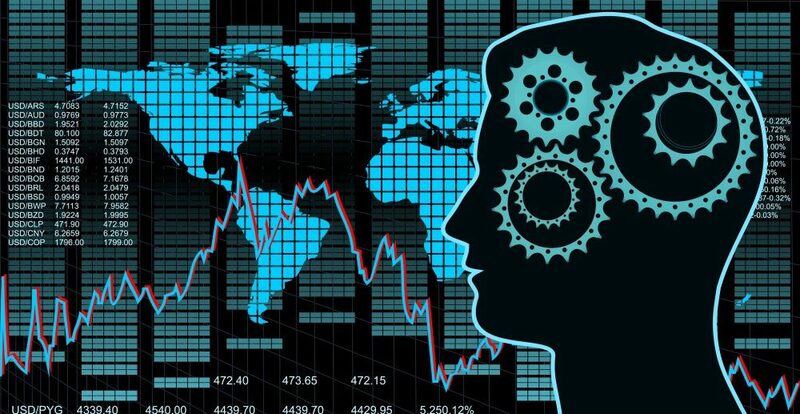 Over the years, geographic information systems (GIS) have matured to central enterprise business systems in most government agencies, and they carry more capabilities now than ever. The true power of GIS is often realized by ingesting information from other systems and technologies to visualize patterns and relationships never seen before. As new technology — such as the proliferation of Internet of Things (IoT) devices — floods the market, the potential of GIS expands and the versatility of geospatial analysis balloons. IoT and sensors are the current cool gadgets, but the true power to work smarter can only be delivered with the convergence of IoT and GIS. Unfortunately, agencies often lack the strategy or means to capture this potential. To explore what the future of GIS looks like, GovLoop interviewed GISinc Geospatial Innovation Officer, Dan Levine, and Enterprise Architect, Steve Mulberry. Geospatial technology can evaluate everyday situations in government, but recently the visibility of these analyses has magnified. Whereas geospatial systems have been used for resiliency efforts or traffic management throughout communities, now there are more sensors than ever — although many are developed for esoteric purposes. For example, GIS leaders are incorporating indoor IoT sensors – that track patterns and utilization – to comprehensively collect environmental information, such as stream and rain gauge monitors that update business systems, boosting the preparedness of communities. Agencies often fail to realize the potential of GIS as an integrator, a central platform where new and old systems can be utilized. Agencies can sort spatial data and information inside a GIS — as opposed to losing information in an obscure desktop folder — while layering new inputs on top of mapping technology. GISinc is helping agencies leverage existing systems and align them with mission-based GIS capabilities. The sheer volume of data and systems can be intimidating for agencies, but the right industry partner can integrate legacy and new technology alike into a common solution that directly impacts mission outcomes. 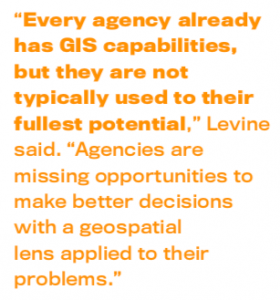 Agencies need to realize the potential that they can unlock with GIS. Strong business leadership, strategic data advocacy and savvy IT portfolio management are crucial for maximizing the usefulness of existing geospatial resources.